Forza TF Review (UPDATED 2019): Is It Safe? Forza TF Review: Is It Safe? A European brand self proclaimed to be the number one selling fat loss tool in all of Europe. They assert their blend is for people who either often go to a gym or those who go sporadically. According to the makers their blend is unisex and it has been endorsed by UK celebrities. Fanfare is a great addition but what’s inside and how exactly does it work? The producers of Forza TF are Forza Supplements who have racked up millions of dollars making them the most profitable weight loss company in the UK. 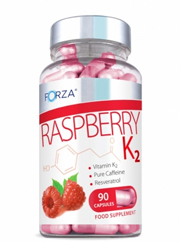 There is little history behind this brand except a noticeable incident related to their product.Tragedy struck as a young woman overdosed on a bottle of Forzas Raspberry Ketone formula due to its excess of 250 mg of caffeine per capsule. Self proclaimed to contain 4 stimulants added to their weight loss formula for stimulating mental sharpness and increasing energy. Added to this is the supposed effect of helping the body break down any stored of calories while keeping the body high functioning. Without any evidence from the makers it calls into question how effective this formula is. Customers who have purchased this brand favored earlier batches as opposed to the current brand which has scaled down its caffeine content. 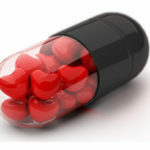 At the recommended 3 capsules daily you would take in 555 mg of caffeine which is roughly 6 cups of coffee. It then becomes easier to see how customers may have preferred the older batch as it had more caffeine which in turn gives short term but potentially dangerous results. Even this much caffeine inside is incredibly high. It tends to have a strong impact even on people not sensitive to caffeine. As mentioned before this brand contains a significant amount of caffeine that the makers themselves make sure to provide sufficient warning to customers. All natural blends now exist that don’t contain these types of warning labels. Caffeine: Stimulant that makes the body feel alert and focused though in excess complications occur. L-Tyrosine: An amino acid formulated in the body. It can help the body better deal with stress. Green Tea: Often used tea added to weight loss supplements for its reported blood sugar lowering capabilities. There is insufficient evidence that it can boost the immune system or reduce blood sugar. Niacin (Vitamin B3): A water soluble vitamin that is often already in sufficient amounts in peoples diets. It protects tissue damage and boosts energy levels. Though in supplement form it is often not easily absorbed by the body. Spirulina: An under researched complete protein. 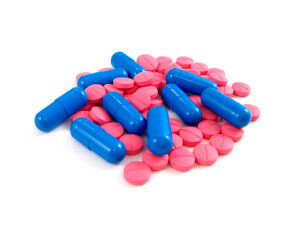 There’s been no proven studies showing this supplement is effective for weight or energy. L-Taurine: An essential nutrient found within the body that regulates blood pressure. Commonly added to energy drinks in order to increase energy. Guarana: This plant has a good source of natural caffeine. It may help increase feelings of satiety. Iron: A commonly found nutrient that is in vegetables and meat. It helps oxygen transport to the body and regulates healthy blood flow. Chromium: Added due to its ability to make macronutrients turn into energy as opposed to stored in the body. When taken in supplement form there is risk of decreased blood sugar. Iodine: A vital nutrient that deals with thyroid function. They offer free multiple resources to track and observe personal nutrition and fitness habits. There’s a huge amount of unproven and potentially unsafe type of ingredients found within. 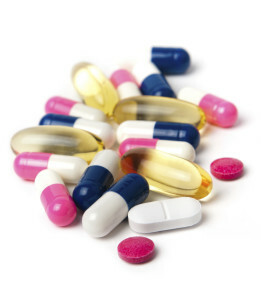 Firstly there’s a spike of stimulants and caffeine that equate to a amount rarely seen in health supplements. Caffeine can be beneficial in low doses but at 555 mg a day you are taking in an excess with potential for serious health issues. Additionally a 20 day supply will cost $53.09 which is considerably much more then if you were to purchase the ingredients separately and in bulk. Without any clinical studies and the testimonials offered being marketing by having celebrities use their products leaves many unanswered questions. 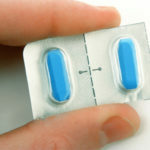 The effectiveness of this product has been called into question by customers who mentioned they experienced no results. Some positive remarks include that it does give a energy boost but at the expense of high caffeine. After seeing past the marketing scheme it’s glaring how many faults are offered thru this product. A incredibly high price tag combined with heavy stimulants and no support offered on their own website. There’s not much to look at to actually confirm this products guaranteed effectiveness. Finding out a decision for weight loss shouldn’t be discovered solely thru celebrity endorsements. Instead of that arena you have weight loss supplements in full effect that can actually work. Focusing your attention on the hype behind this overblown brand won’t produce guaranteed results. Instead do yourself the favor and look at alternatives better suited for your lifestyle. Whats better than Forza TF?